We have some unique opportunities for you to join our experienced team of marine biologists in the Maldives, to continue your scientific research by collating real data from the field whilst gaining valuable work experience at our busy Centre. You will assist our team of marine biologists with all conservation projects, and accompany guests on resort excursions. Duration of the internship is no less than 70 days and no more than 90 days (sorry, no exceptions). Working hours are 09:00 to 18:00, 6 days/week. No salary is given during this internship, and you will fund your own return international flights to/from Malé, Maldives. Be a post-graduate student (essential), currently studying for a higher degree (MSc, PhD or equivalent) in a relevant discipline (Marine Biology, Environmental Science, Aquaculture, Animal Care). Be a physically fit non-smoker (working long hours in the lagoon, and able to carry 20kg weight). Be fluent in both spoken and written English (extra languages an advantage). Coral Propagation – Collection of coral fragments, transplantation of the frame, maintenance and photography of existing frames. Interaction with guests and local children to educate about coral reefs. Turtle Conservation – Assist with turtle feeding and care of sick animals; clean pools and monitor health/growth. 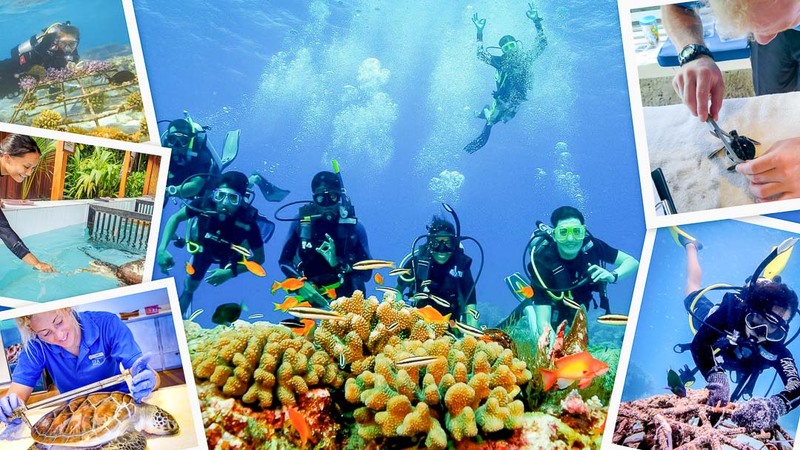 Guest Excursions – Marine life presentations and guided snorkel safaris; increase awareness of marine biology and conservation in the Maldives. Aquaculture (where appropriate) – Assist in our Fish Lab (including tank cleaning, fish feeding, larval rearing, monitoring). Personal Project – Develop your personal project, ideally under supervision from your college/university. Prepare monthly illustrated progress reports (for our website), and present your project findings before departure. To receive internship news and notification of future job vacancies, join our REEFSCAPERS mailing list. What’s life actually like, working in the Maldives as a marine biology intern at Marine Savers ? 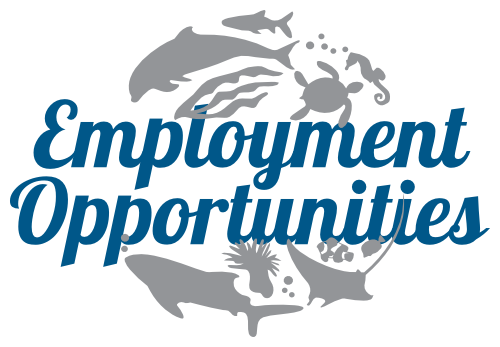 1) Full-time Staff members have marine biology qualifications/experience and should apply for an advertised vacancy. 2) The Four Seasons Apprenticeship Programme is open to young Maldivians and provides training in all aspects of the hotel and hospitality industry (including placement at our Marine Discovery Centre). 3) Internship positions are for post-graduate marine biology students working towards MSc/PhD qualifications (this page).